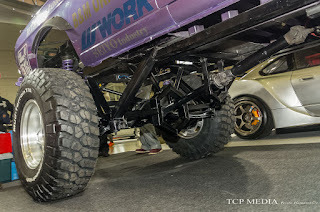 and even had the opportunity to have a sneak peak of things coming together on the night before. With 900 shots on my mighty SD card, feet and back still beig sore, I am planning to spend next few days posting a updates trying to depict what this year's show was all about and what were some of the most definite highlights. 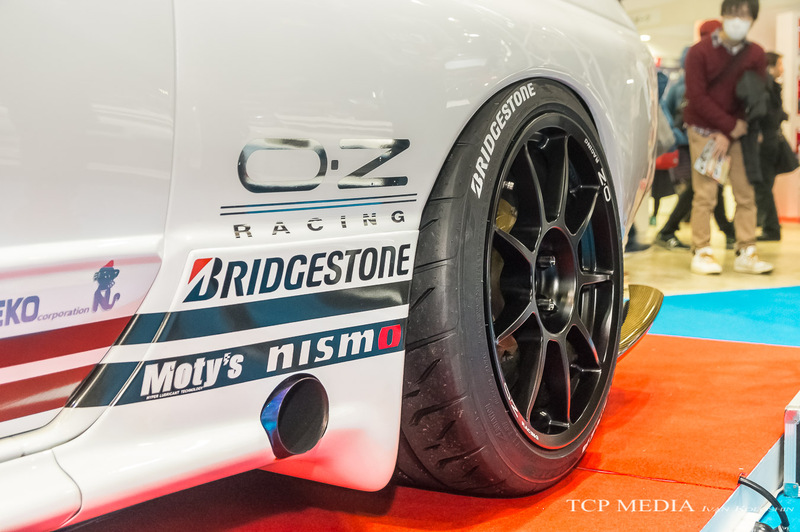 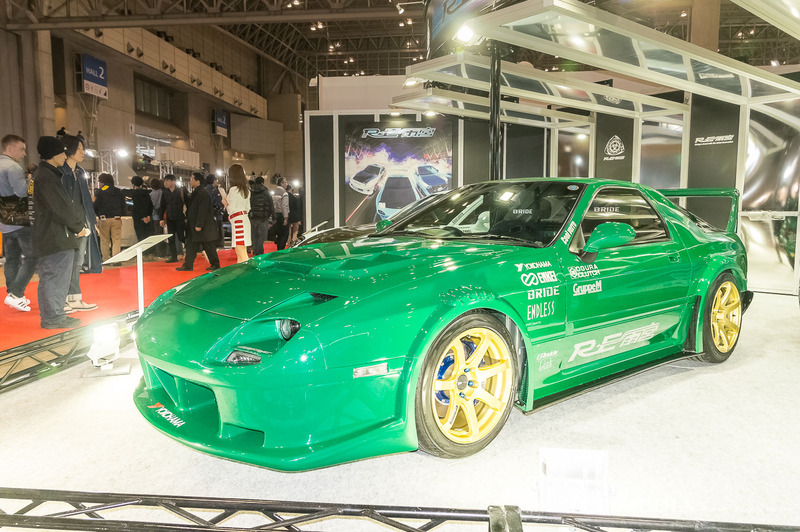 Smokey's attendance at Tokyo Auto Salon has almost been religious. 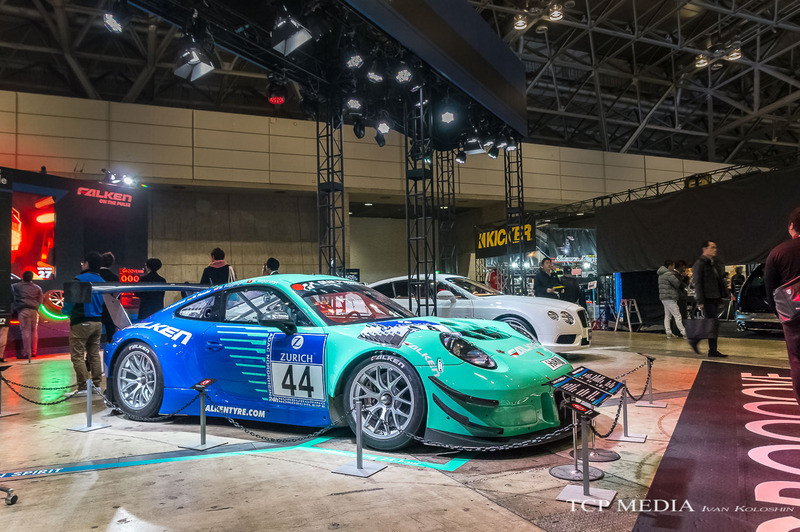 Each year he is there with his crew occupying same space in the North hall. 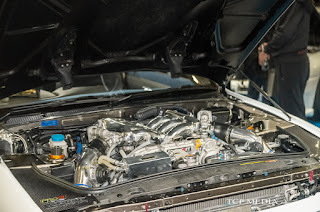 Although the Location of Top Secret booth may be predictable, each year Smoky has something up his sleeve to surprise us all; this year was no exception. 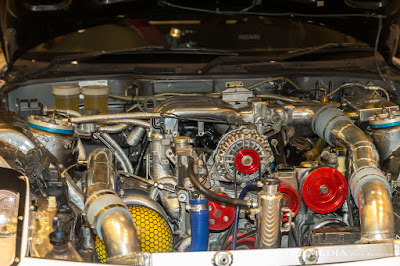 What seems to be an ordinary VR38DETT engine; it comes with a big twist, and if anything would give away what the fuss is all about it is unusually tight shell surrounding the block. This is it, this is the reason why 2017 will no doubt go down in history as the year of Smoky's most epic creation. 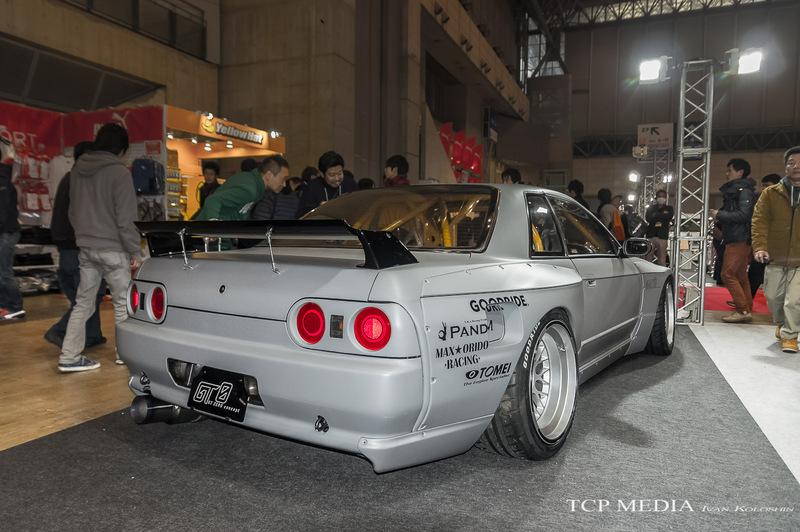 It has been announced on Sunday - the final day of Tokyo Auto Salon 2017 that this very R32 has won the tuned car competition; here is why. 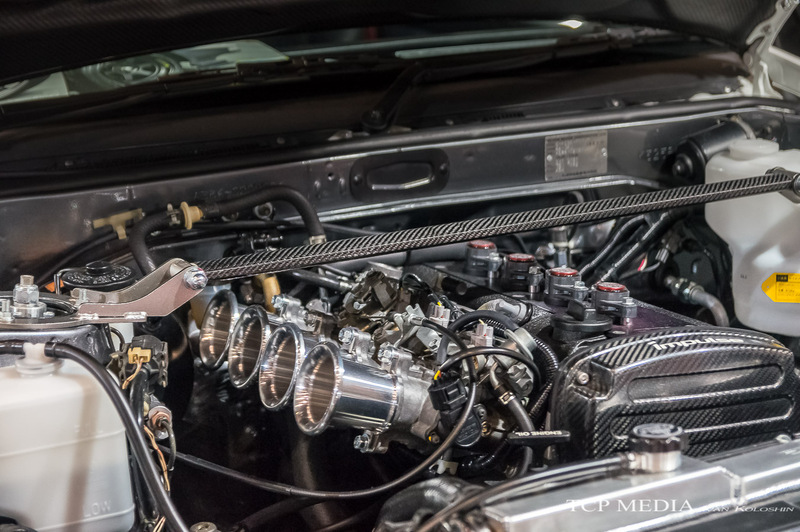 Getting parts from modern cars and installing them into classics is nothing new. 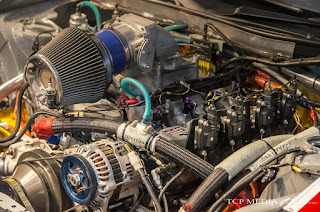 Parts from Porsche, BMW, Mercedes Benz and so on are perfectly backwards compatible and will feel right at home in the older chassis, but in this case, Smokey has taken resto-modding to whole new level. but Smokey took this even further. 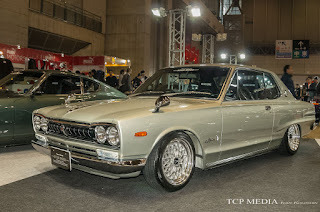 By choosing the lightest of modern era Skyline bodies Smokey incorporated the idea of small car/big engine in the best possible way, with minimum of electronics, safety, or other gadgetry getting in the way. Or so you would think... Smokey did not stop there and he moved all internals including transmission and fuel system, and then proceed to chop down R35 interior so it would fit into a much smaller R32! 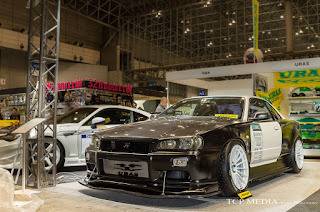 In typical Japanese manner the execution is top notch. 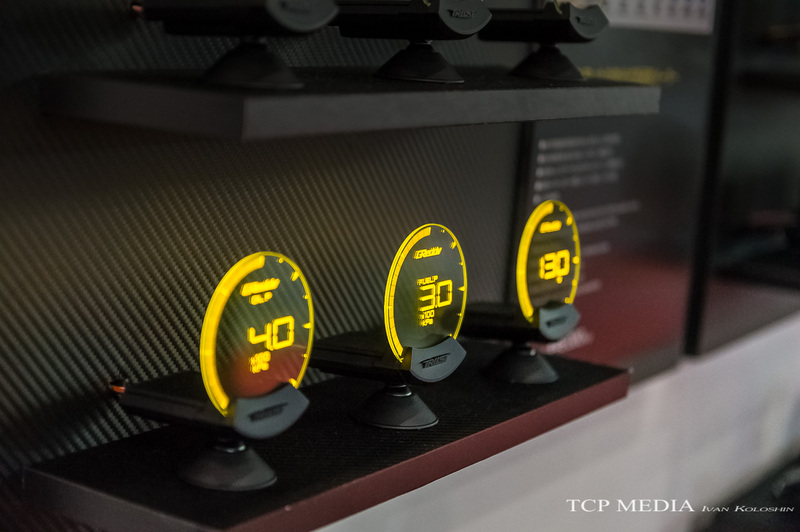 The massive dash seemed right at home as the revised center console welcomed the gear level for DCT gearbox. I am hoping to see more of this build in 2017! 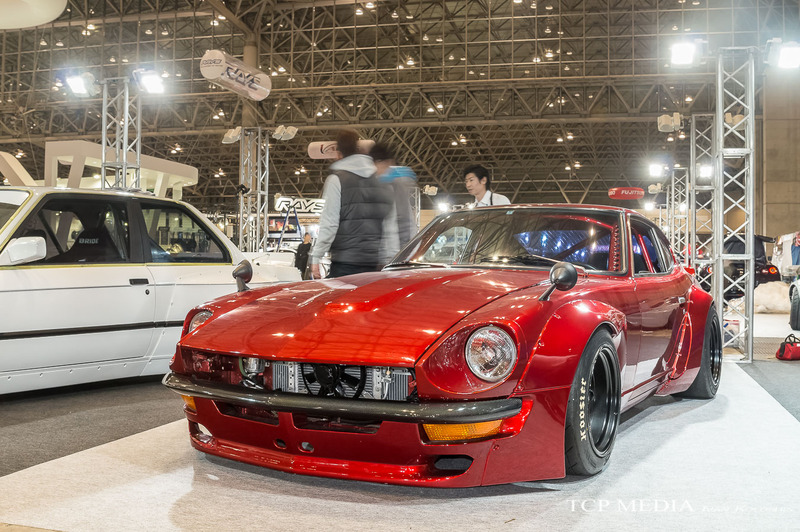 What a way to start a year, isn't it? 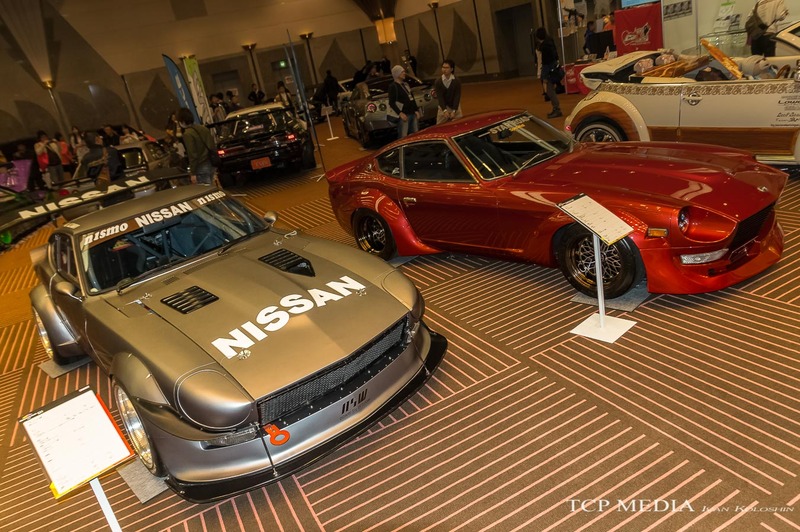 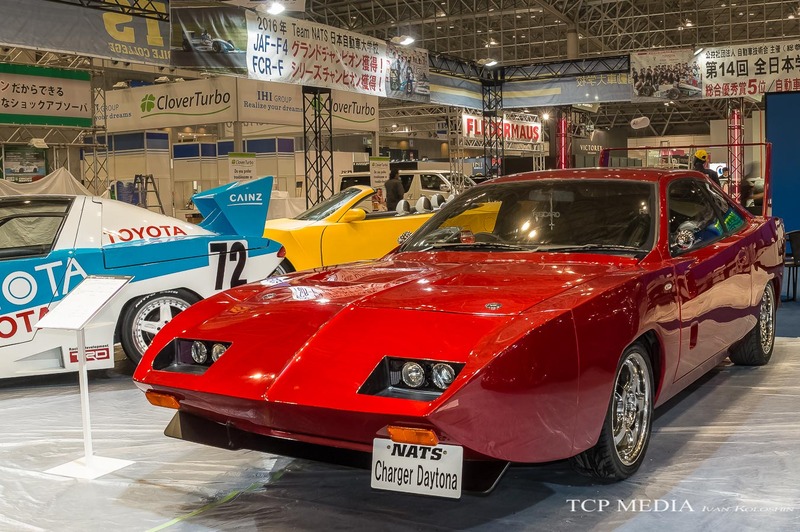 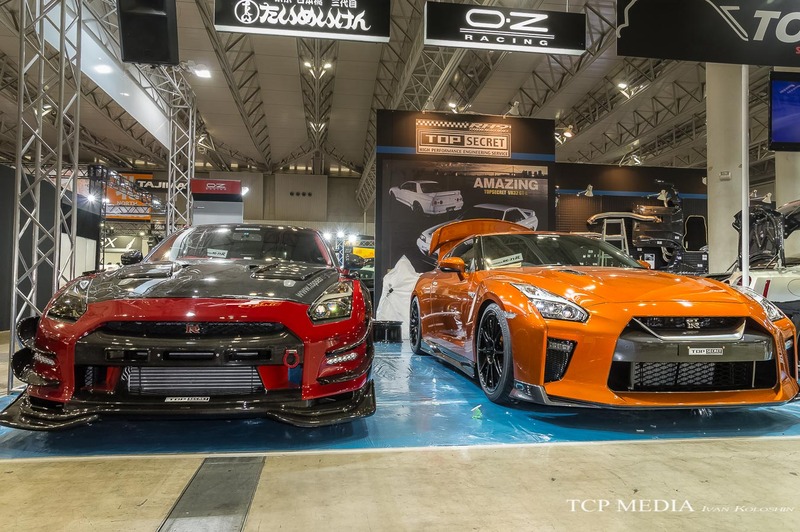 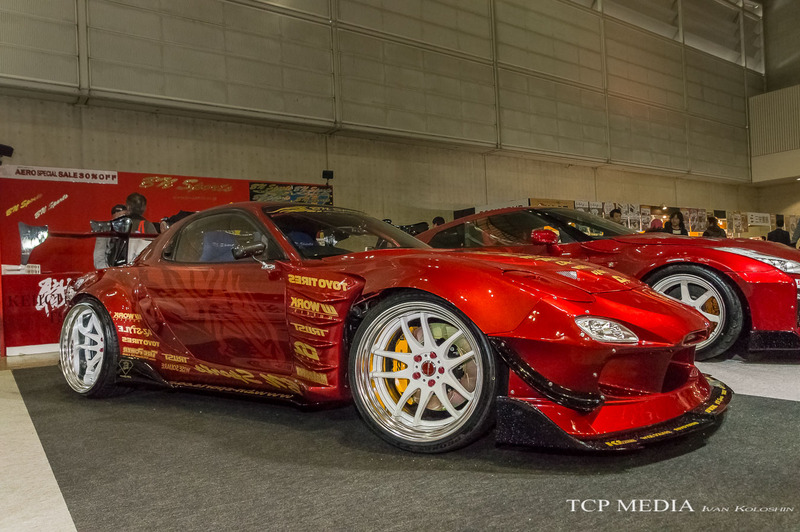 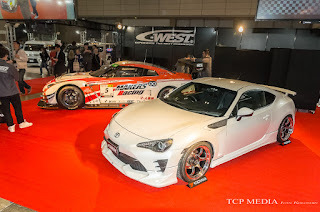 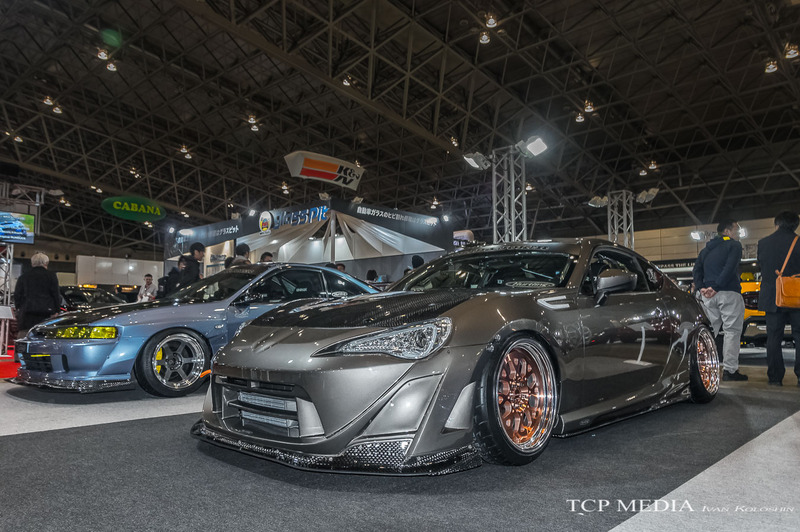 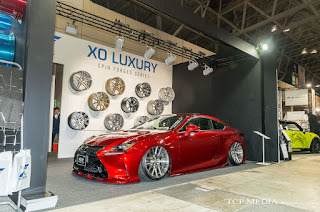 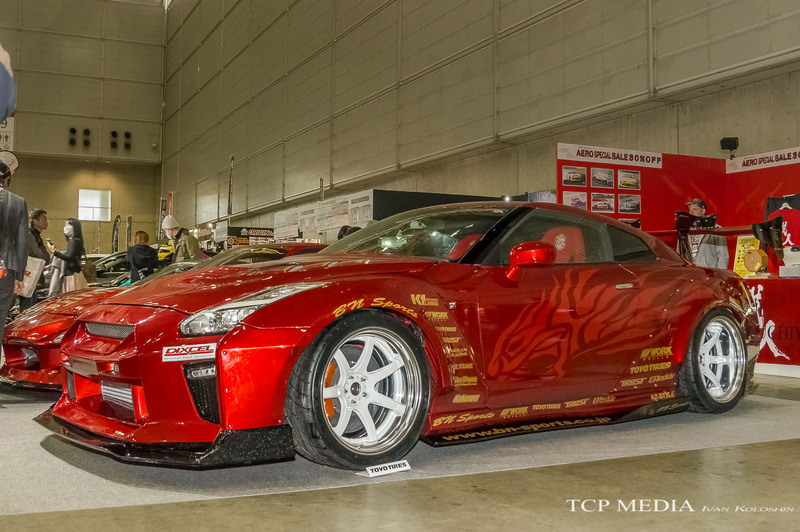 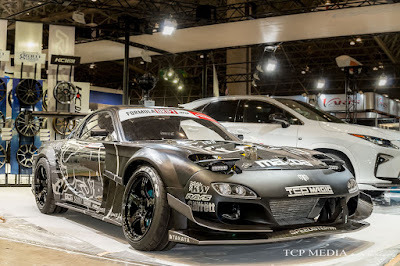 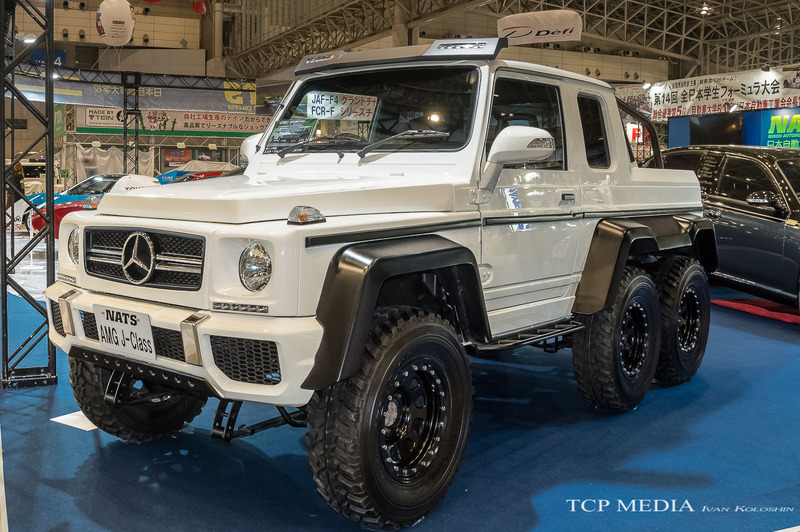 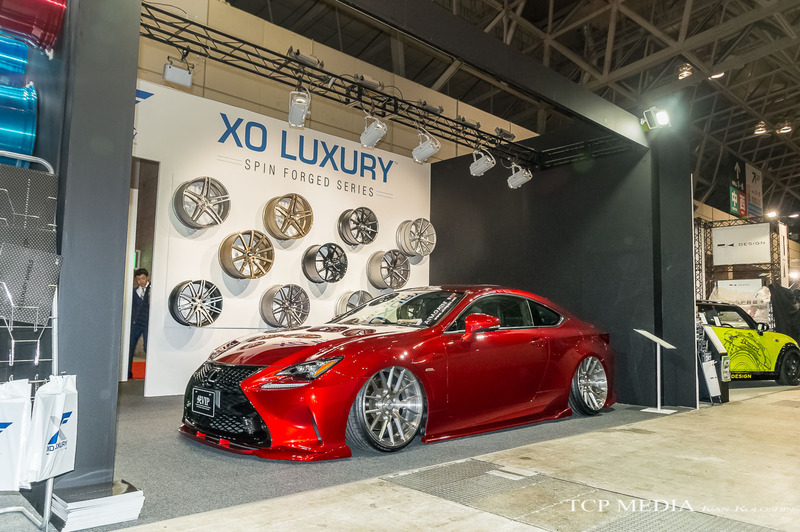 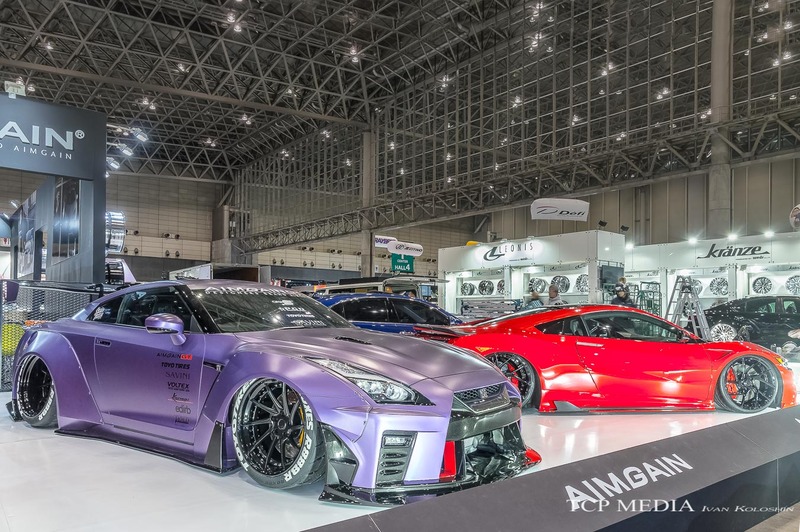 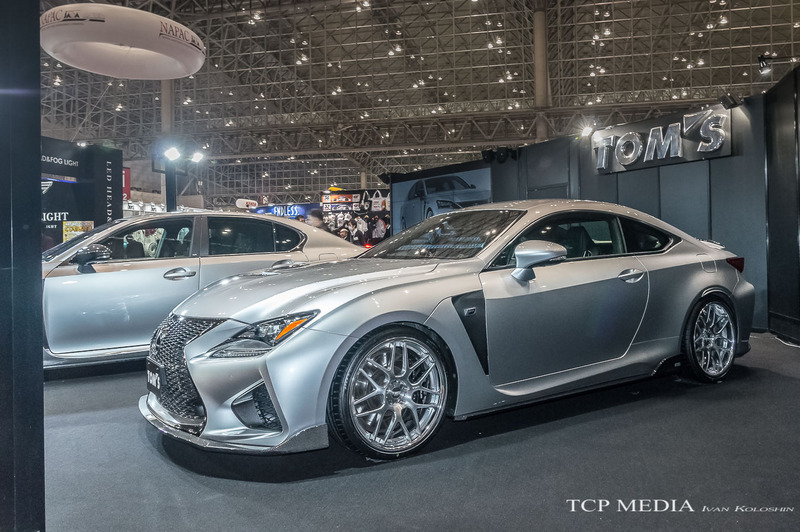 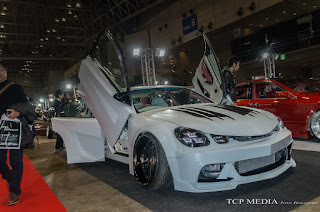 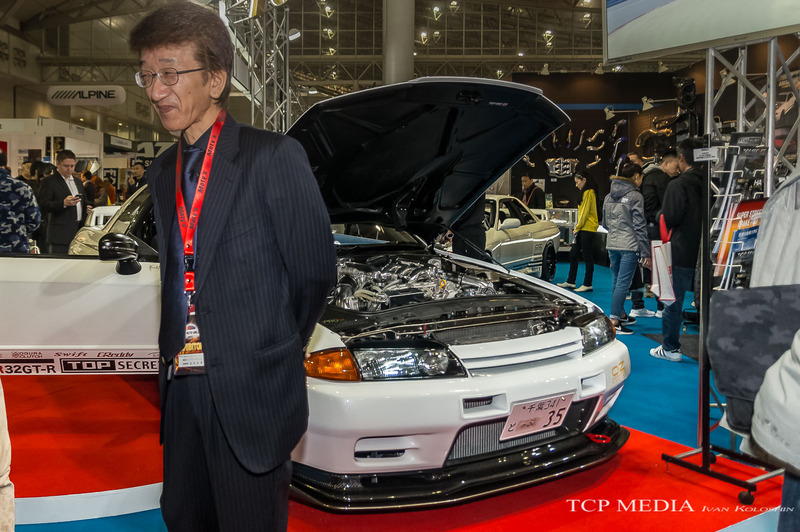 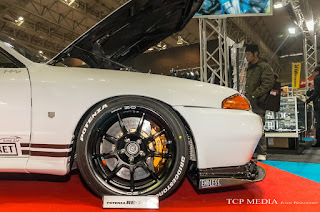 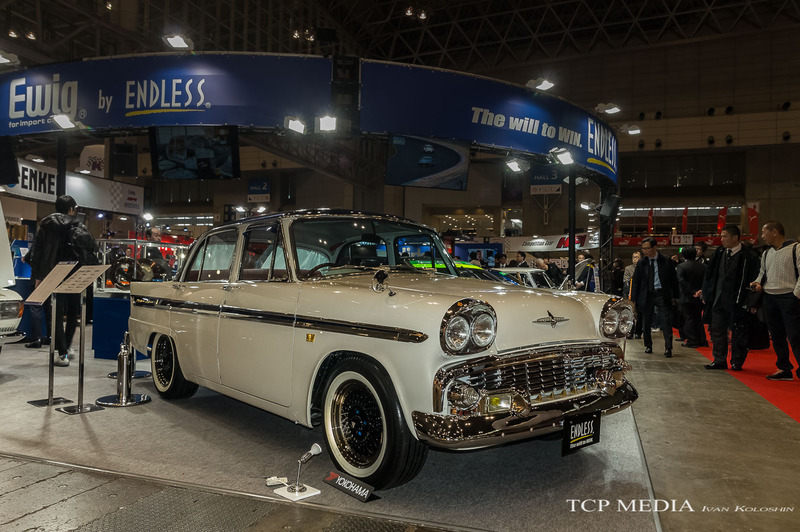 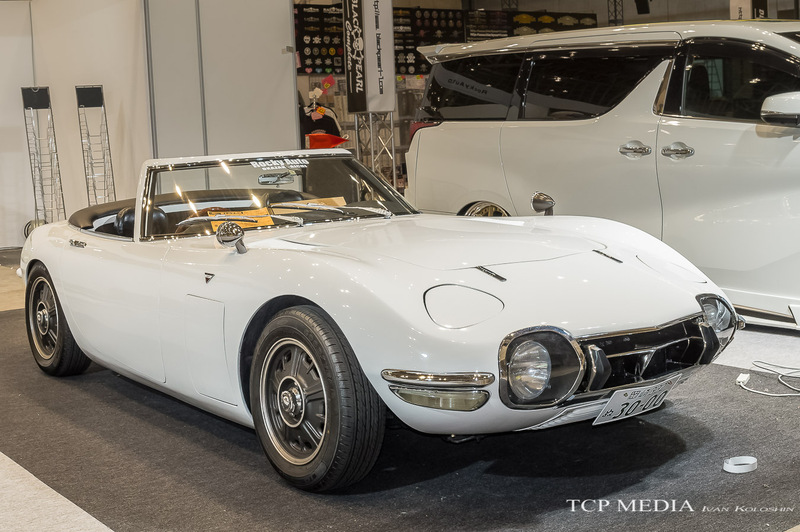 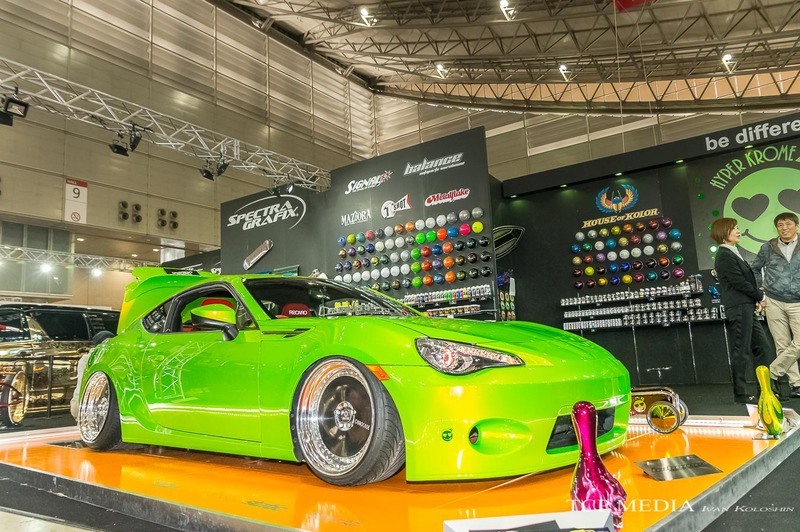 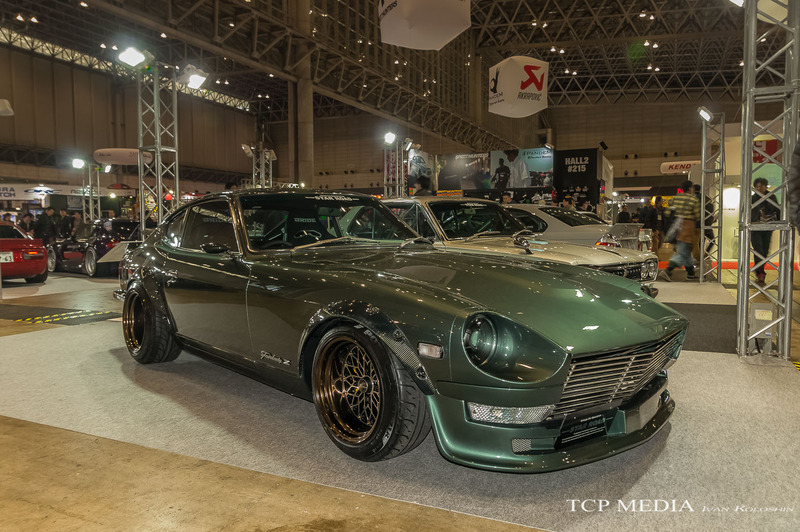 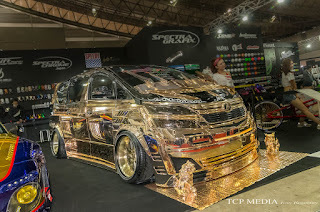 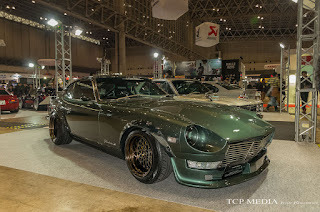 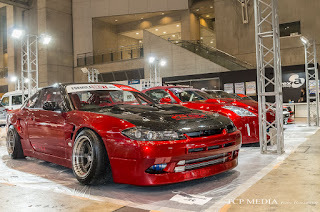 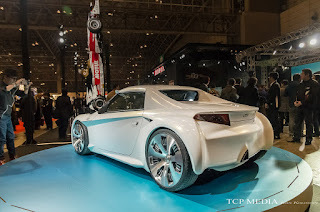 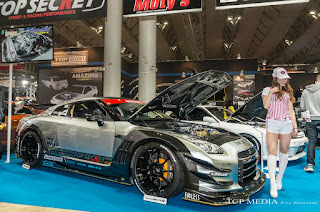 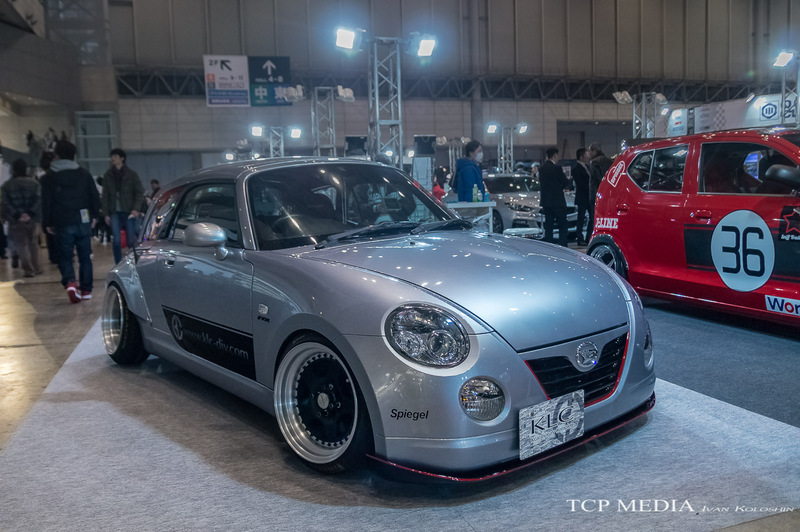 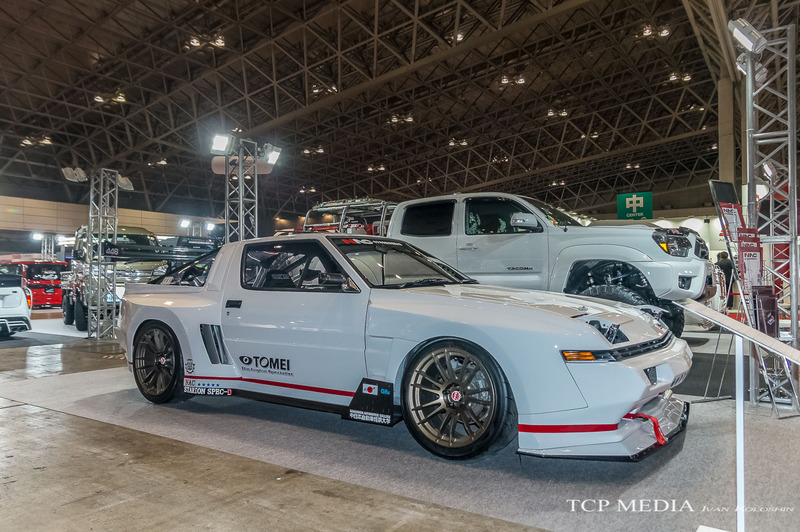 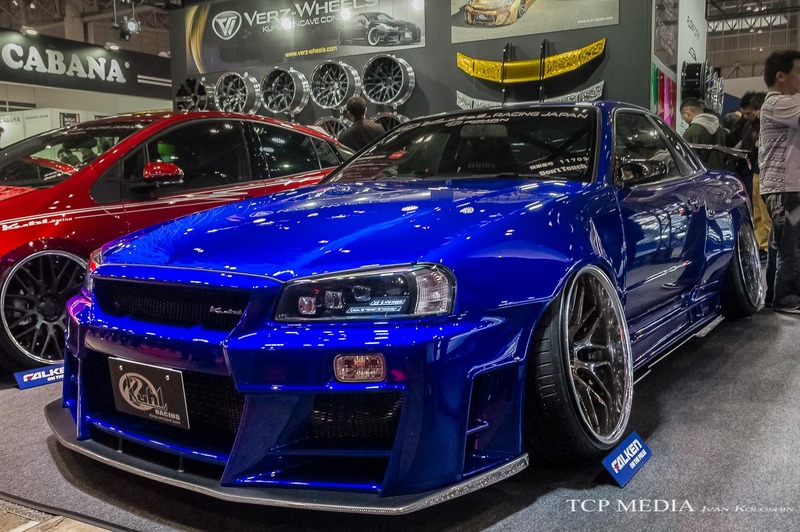 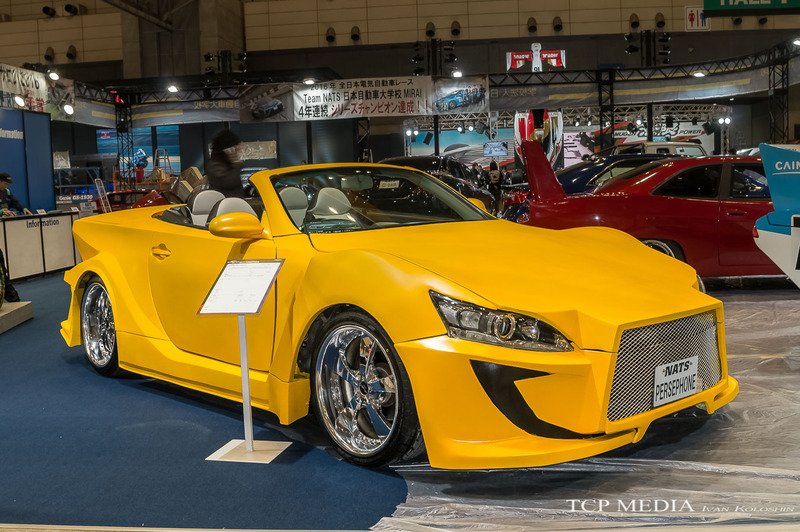 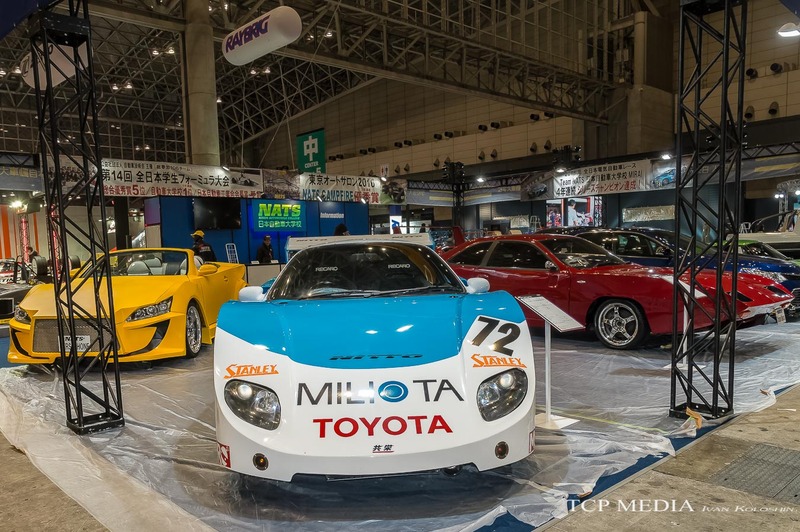 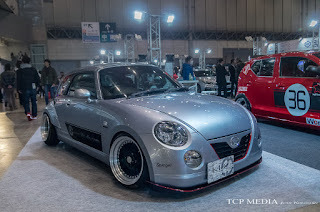 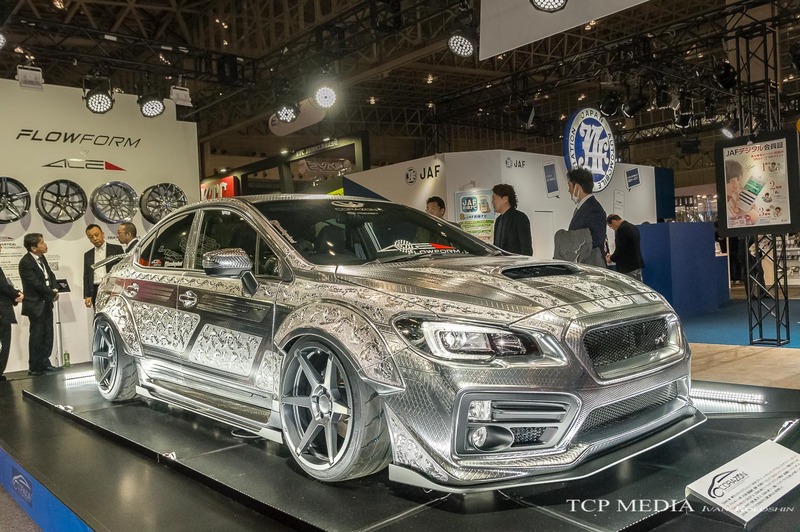 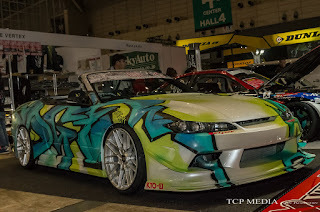 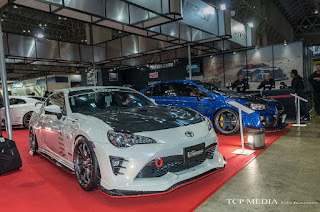 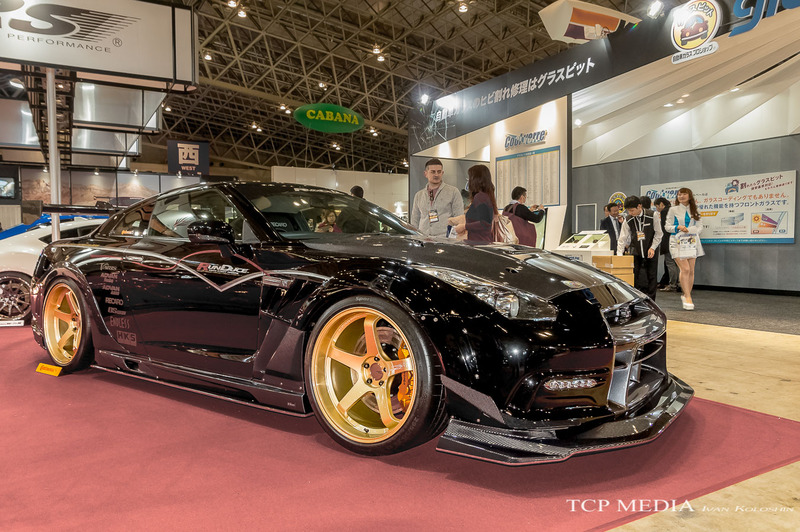 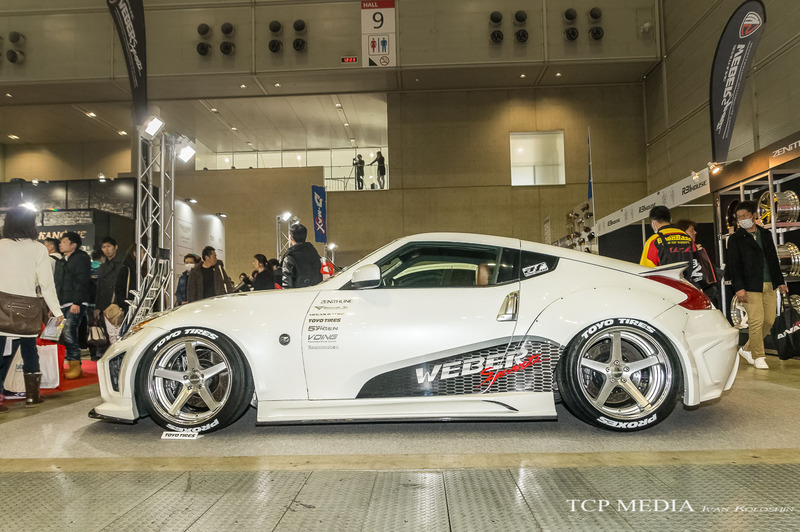 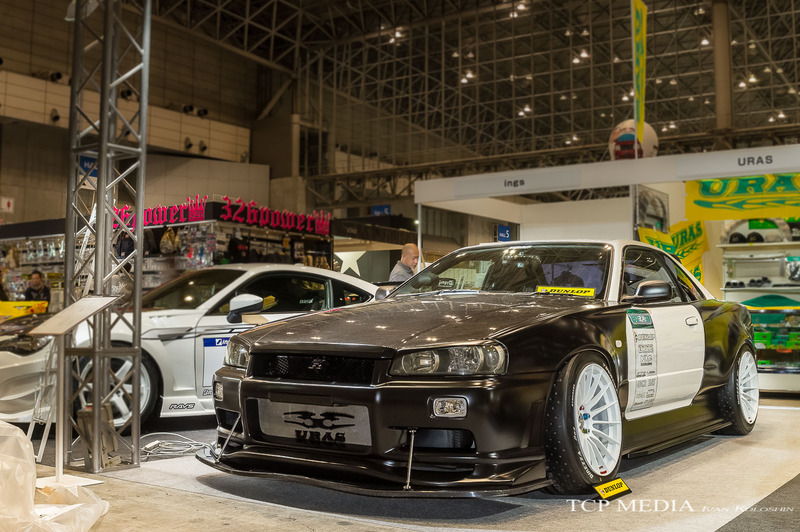 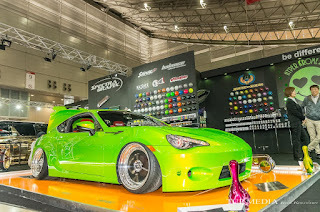 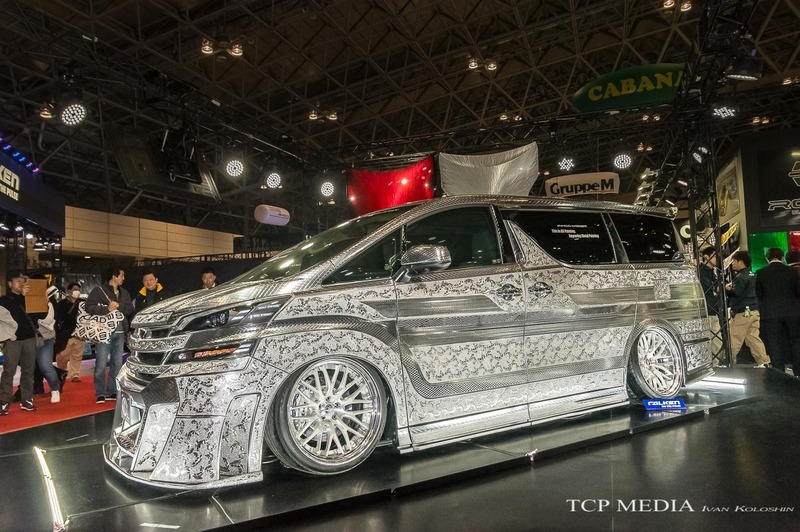 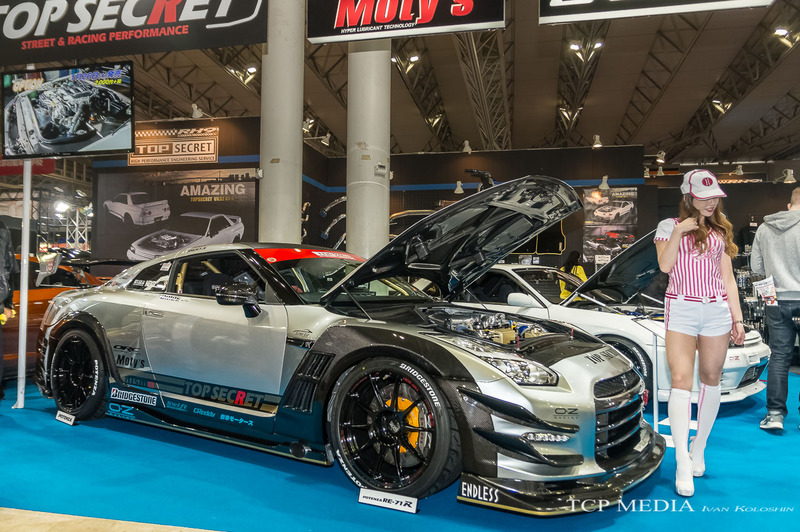 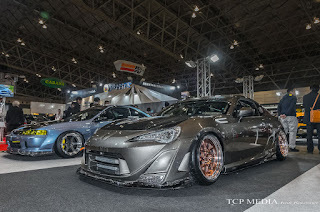 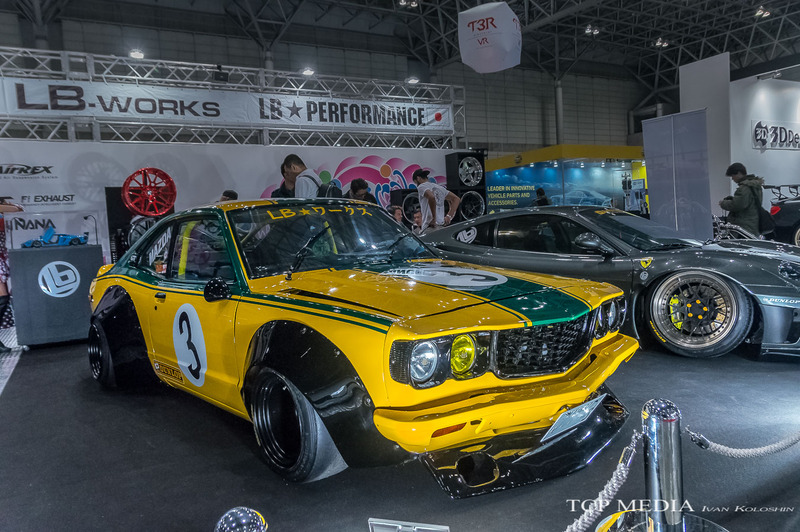 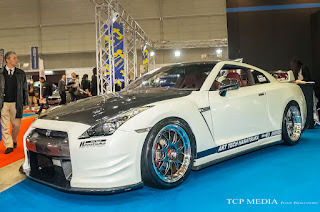 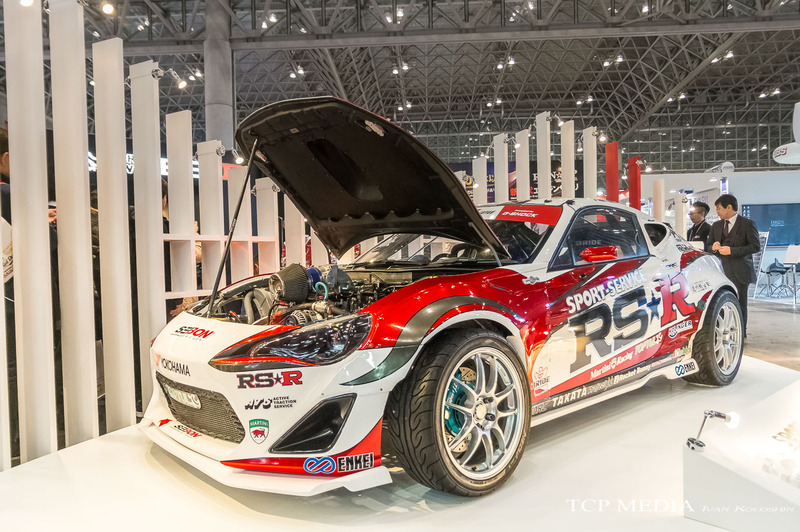 This is why we love Tokyo Auto Salon; no two builds are the same, even they may feature same base car! 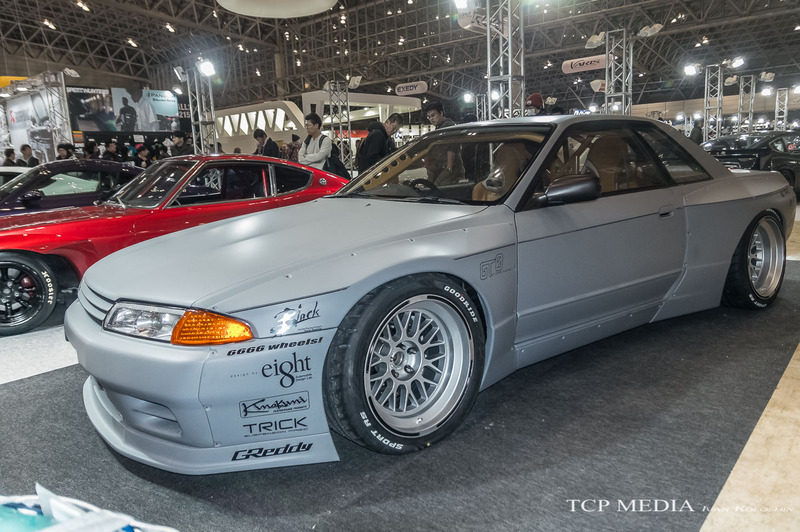 Regardless of what angle you look at the car from and what is your stance on the whole wide body phenomenon, it is evident that the Skyline body kit has been designed as a bespoke product rather than a one size fit all overfender carving. 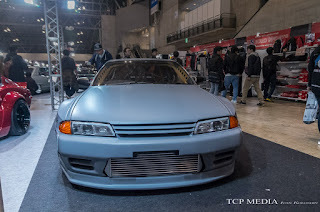 The extraordinary wheel arches blend in perfectly with the lines of the first generation of post hiatus GTR Skyline, which on its own were quite revolutionary for its time, given that the car was designed in 1989. 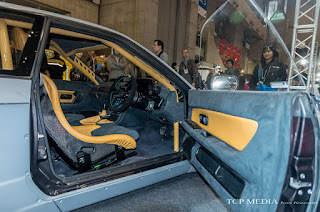 We can discuss the wide body approach forever, but the kit alone does not tell the whole story of this build, as the owner was kind enough to open the door and reveal a true masterpiece of interior crafting using finest materials and coolest gadgets seen in automotive world. 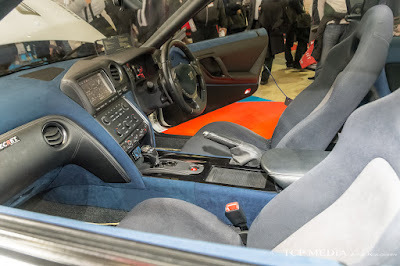 Boring old generation Nissan seats have been swapped with racing buckets wrapped in leather, and entire dashboard has been stripped and fitted with a pair of LCD screens that can do pretty much anything: from telling you your speed to loading Angry Birds. But that's not all! The owner has connected the dots and increased the performance of the RB26 engine to match the visual appeal of the car. 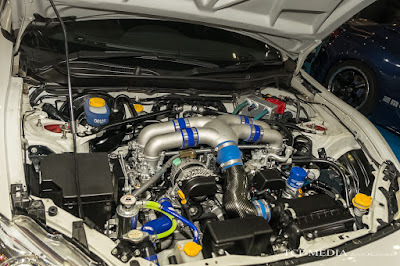 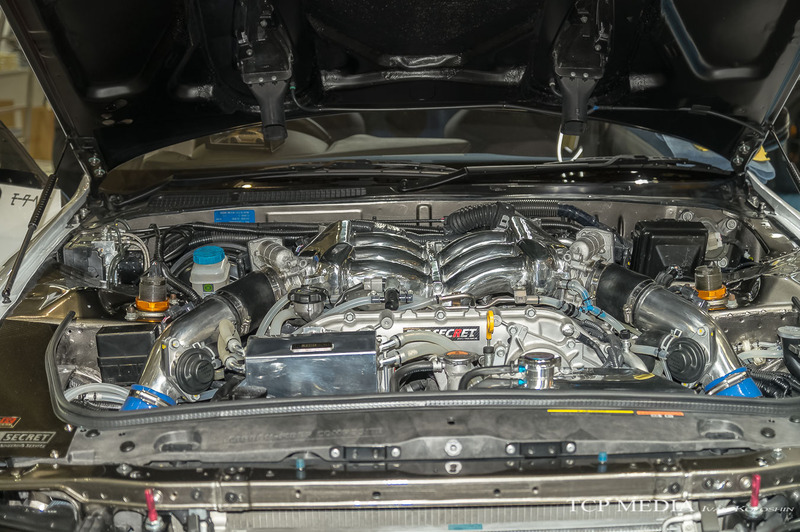 The owner has done the single turbo conversion by means of a Greddy charger, and fitted intake plenum and cooling system from the same brand. 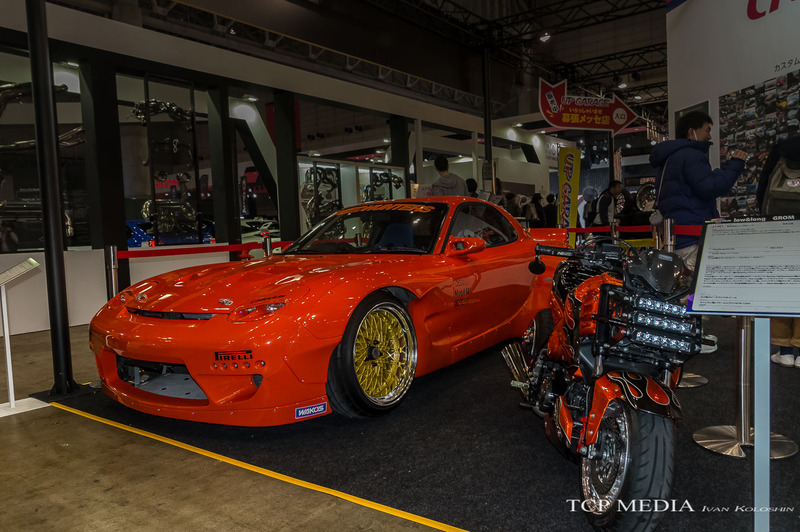 this show was largely about pushing the boundaries and coming up with some of the craziest builds this part of the world has ever seen. 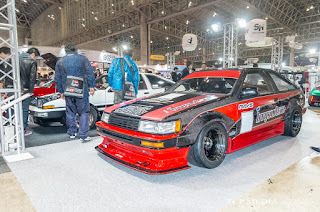 One such build is this mini-monster 1990 Nissan Sunny truck, which in capable hands of a bunch of students from Automotive Construction department of International Information Technology University was transformed into one of a kind killer machine. 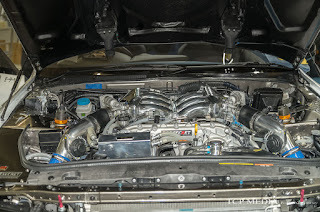 while at the heart was this 5.7L LS1 motor with SUMMIT carburetor and Holley fuel pump. 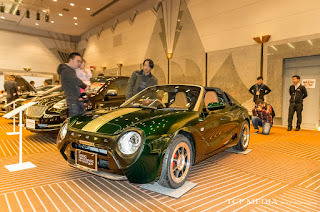 Not bad, considering how small the original car is. 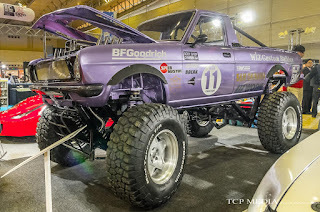 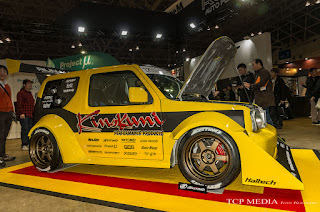 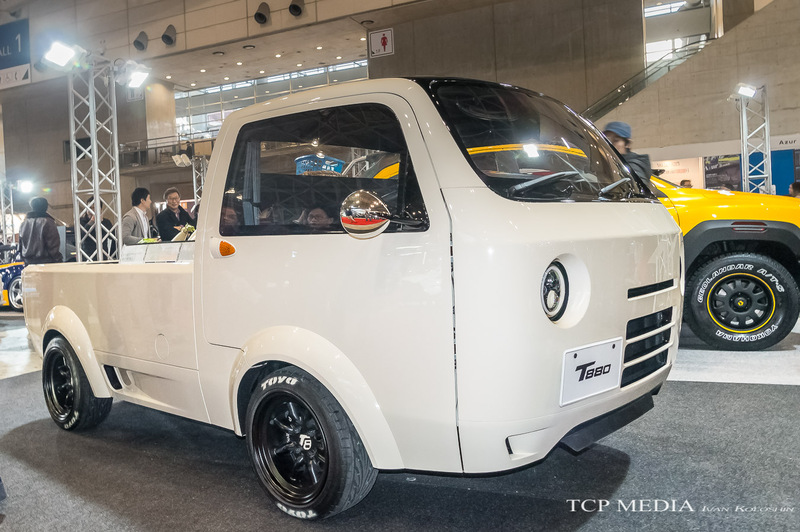 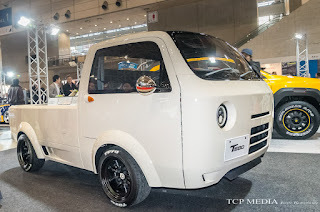 Speaking of small trucks, this is a creation by guys at NATS, so if you want to be a Dan Bilzerian without sacrificing half a million dollars and ability to navigate tiny streets of Japan, call these guys (and provide a donor Suzuki Jimny when you make your reservation)! 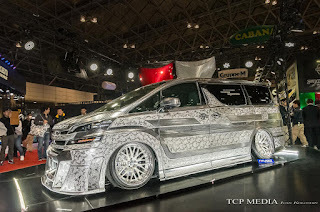 Truth be told, each year I am really excited to visit the NATS booth to see what bizzare creations they come up with, because once graduate and gain enough experience they will be making something like this. 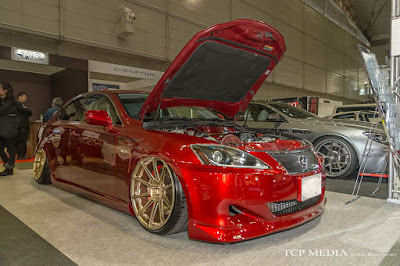 but this time it's inside a Lexus, and by looking at this, it almost feels like it belongs there. 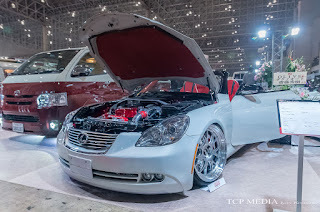 The old Lexus SC, which took Toyota's old old nimble and much loved Soarer and turned into an overweight semi-luxury old-lady convertible. 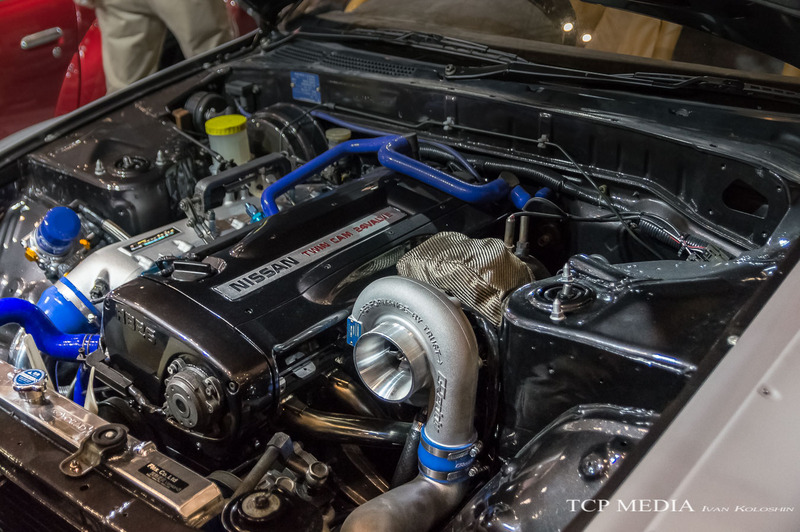 Not even a V8 could save it from its lack of character, so maybe this turbocharged straight-six can. Some cars don't need a V8 or a turbocharged straight six, because NA tuning perhaps produces most rewarding results when it comes to driving experience. 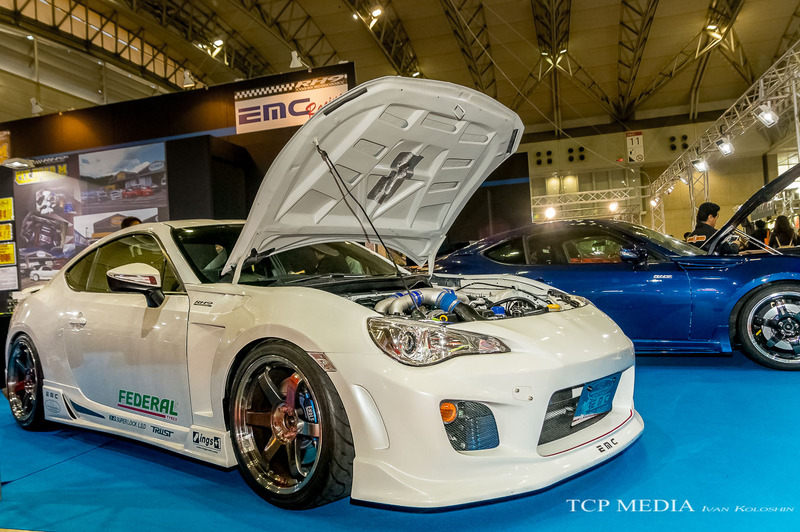 One such tuner, known as EMC Engineering has put emphasis on NA tuning this year by offering their newly developed individual throttle body kit for ZN1 platform. 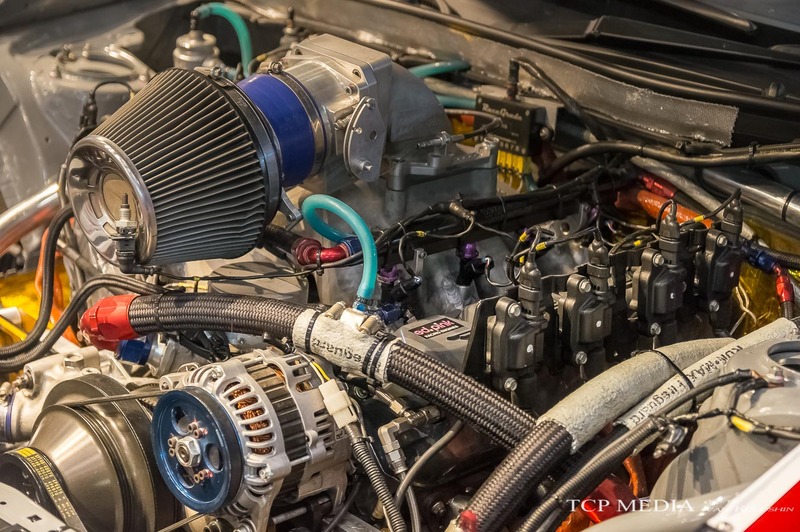 The kit comes with modified intake and should significantly improve engine response and add about 10% of power and torque. 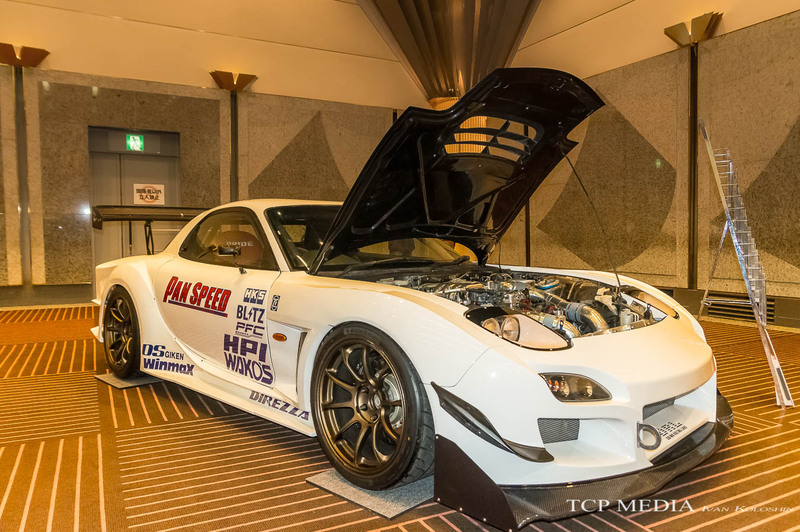 Optional HKS ECU flash can tweak engine rev limit and power curves. 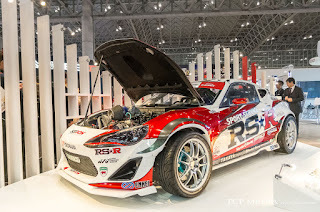 Powered by TRD NASCAR engine this thing makes world shake when Fredric Aasbø takes it sideways at full throttle making tire thread disappear in cloud of smoke. Then there was this Nissan Silvia S15 time attack race build. It is amazing to see how important role of aerodynamics has become when it comes to shredding off valuable seconds of those lap times. But of course this would not have been possible without proper engine tune. 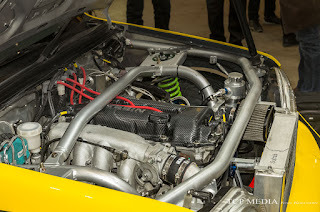 Amazingly the car is still running the four-pot SR20, which has been remounted further backwards in the carbon shell of the car allowing for better weight distribution and extra space for horizontal front mounted intercooler. 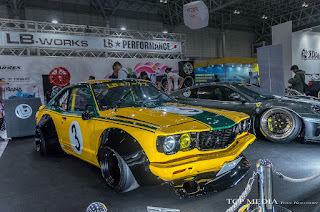 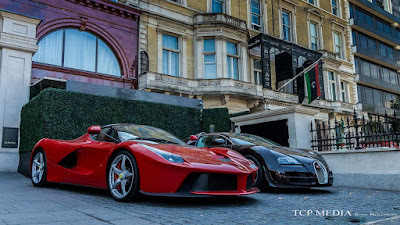 As you can see there is plenty of performance oriented builds and race cars that win trophy's on international level, but let's look into some of more visual appealing stuff, because as we all know, there as a lot more to cars than just going fast. 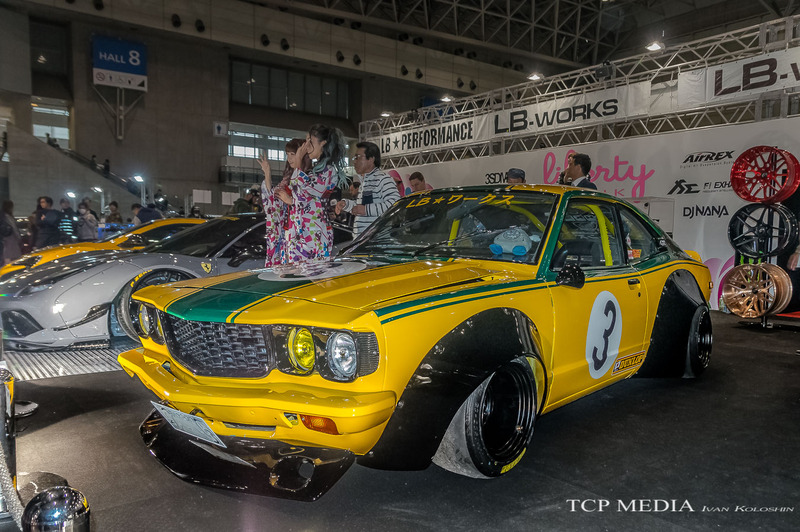 We start of with Mr. Charisma himself: Wataru Kato and his Liberty Walk built Mazda Savanna RX3. 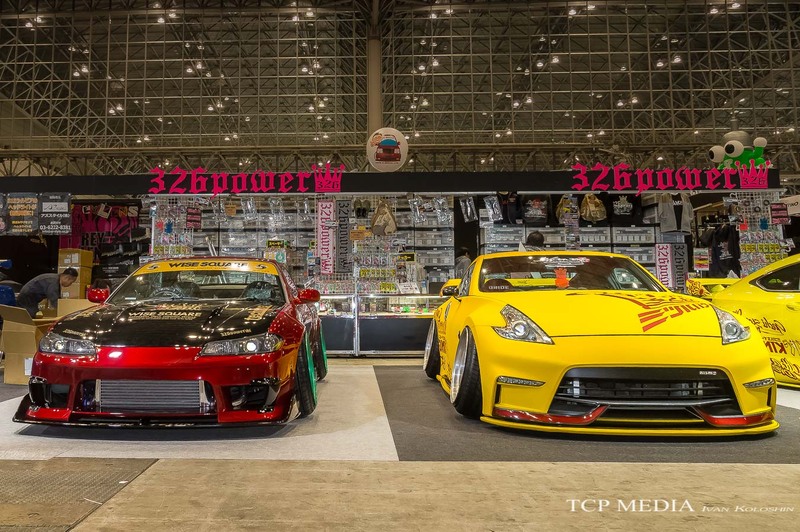 Not too far -- these guys... 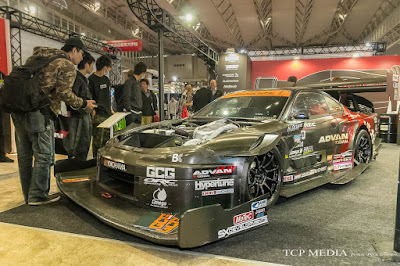 Extending middle finger to all the purists is team 326 Power and their army of stanced cars. 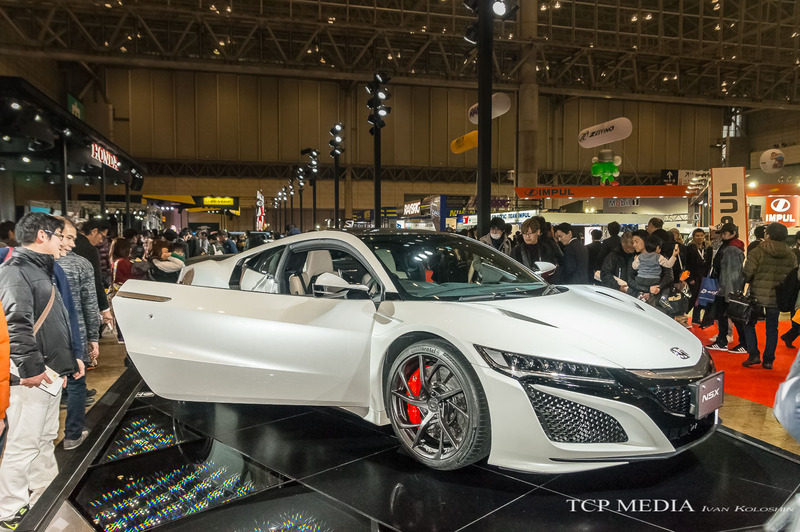 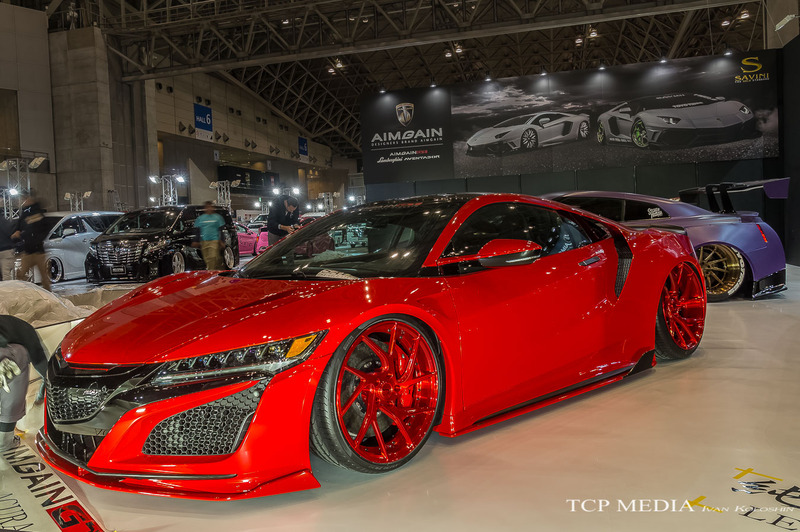 Ladies and gentlemen, please welcome: worlds first slammed New Honda NSX! 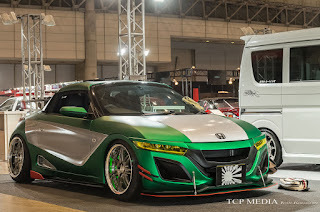 With very subtle but yet properly distinctive custom body kit. 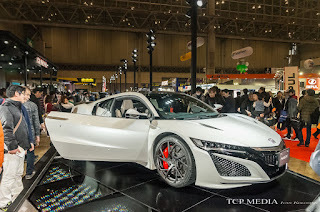 There were total of 5 Honda NSX's, with 3 of them sitting in Honda booth in stock form, the 2 customized were done in a very aggressive manner. Well. 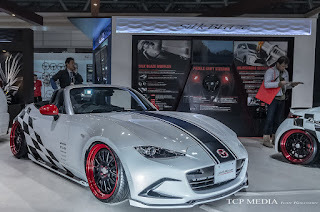 we've been all the complains about lack of interesting Japanese cars to be modded, so I guess here is our solution - a 250 thousand dollar hybrid sports car. The original hachiroku is gaining popularity as there are more and more fans around the world, of which popular tuners took notice. 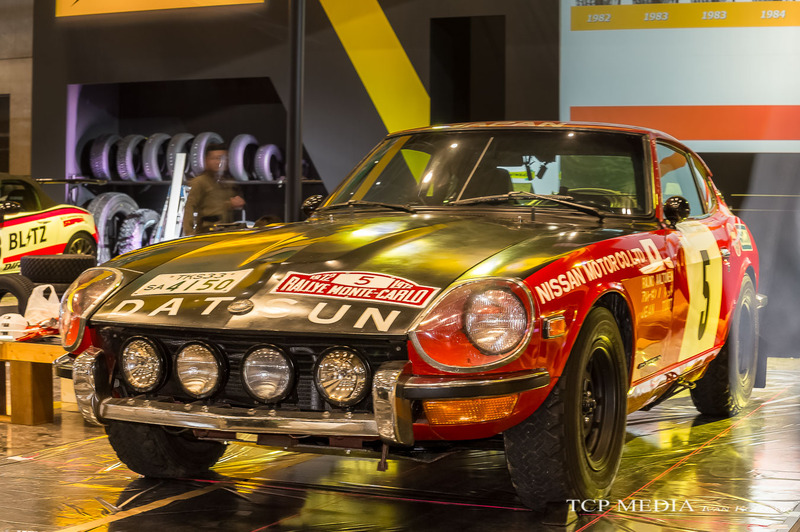 When I saw this rally spec Datsun, I instantly fell in Love. Yes, restomodding is the big thing right now, but there is a part of me that says classics should be left to look exactly like they were originally built. Well, with that being said, this a custom car show, so there were plenty of parts to choose from. 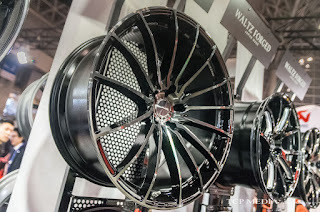 Many makers have released new wheels for this show, but the design of these Rays Waltz Forged wheels caught my attention. This is certainly step in the right direction for the Japanese manufacturer when it comes to adding diversity in its product design. 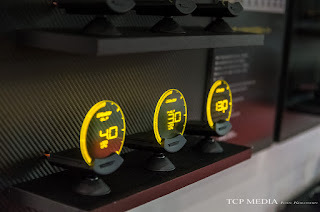 I was also instantly blown away by these new meters by Trust. 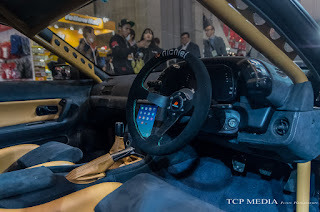 This should bring any custom car dashboard instantly to life without sacrificing space and visibility. 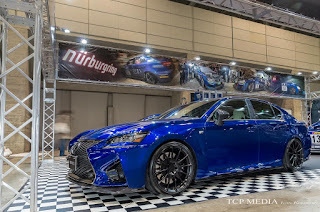 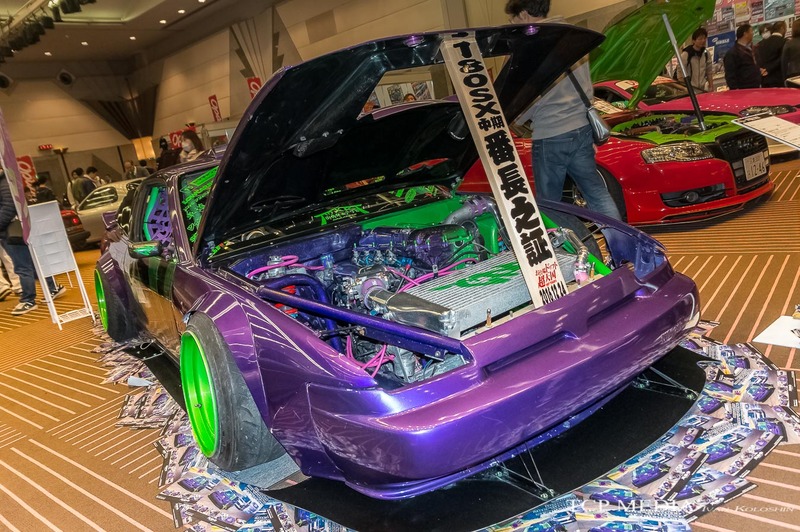 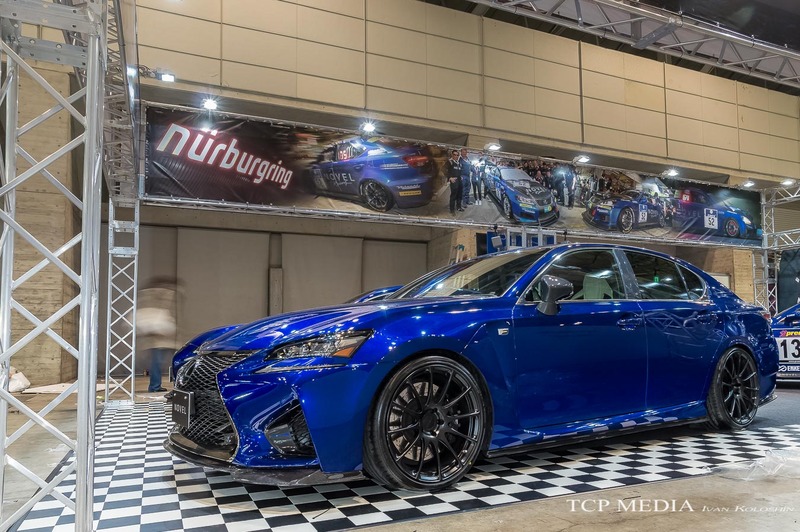 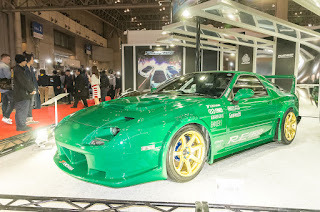 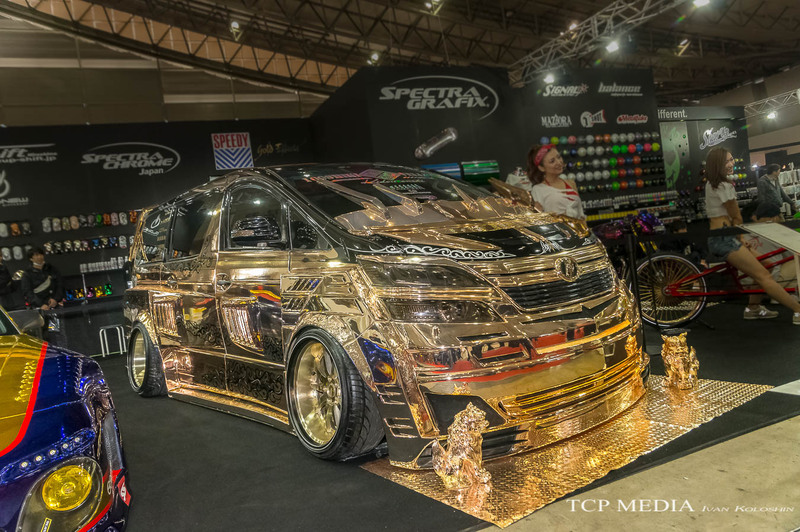 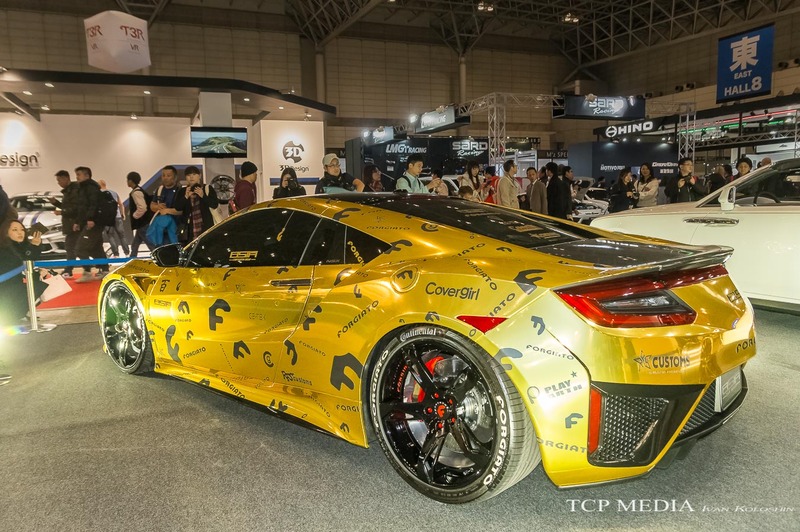 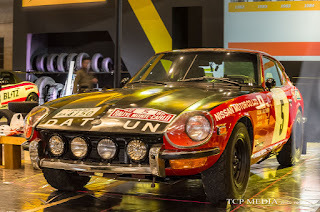 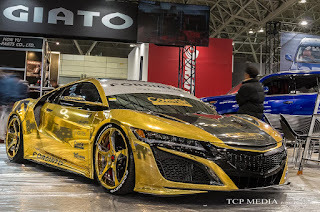 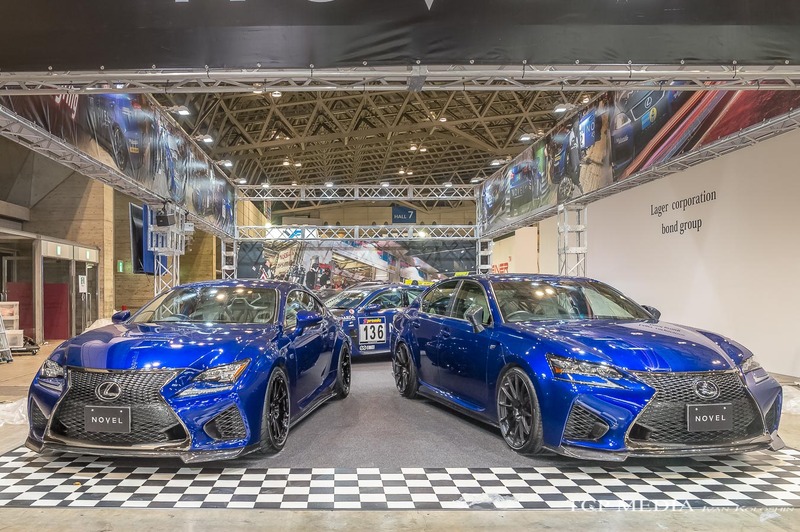 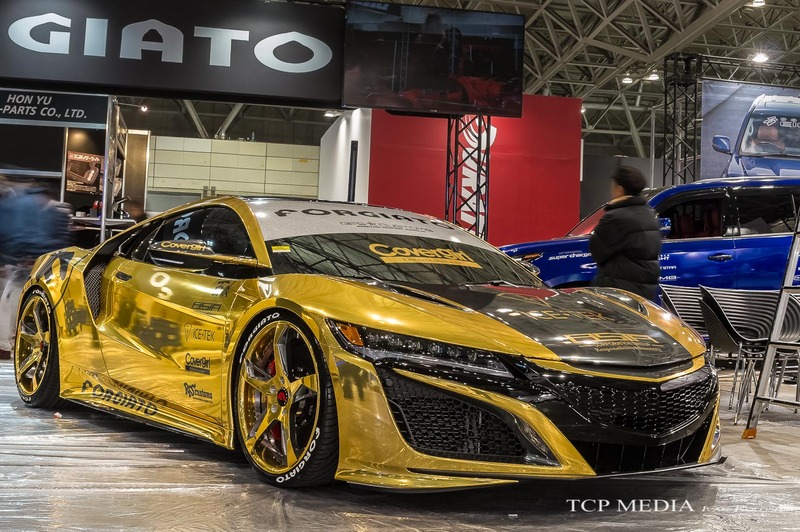 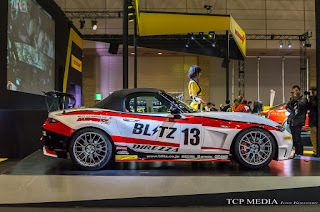 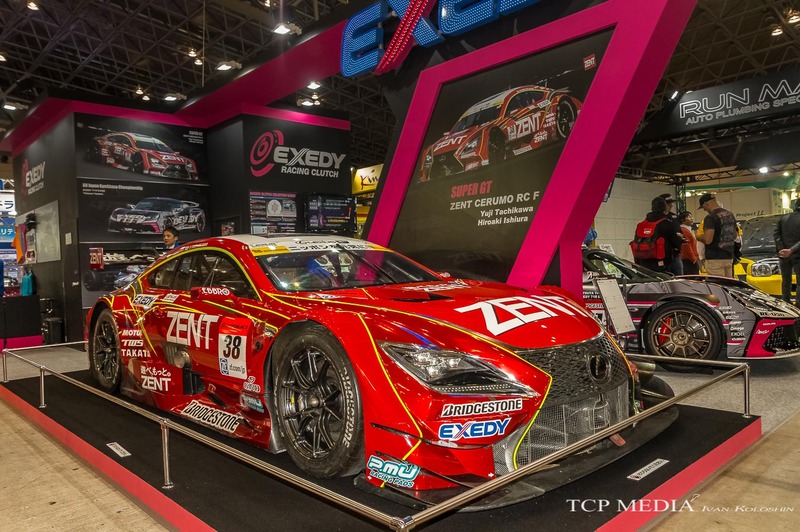 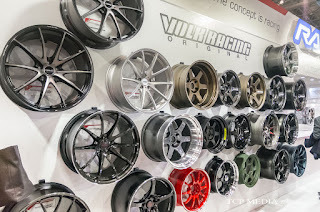 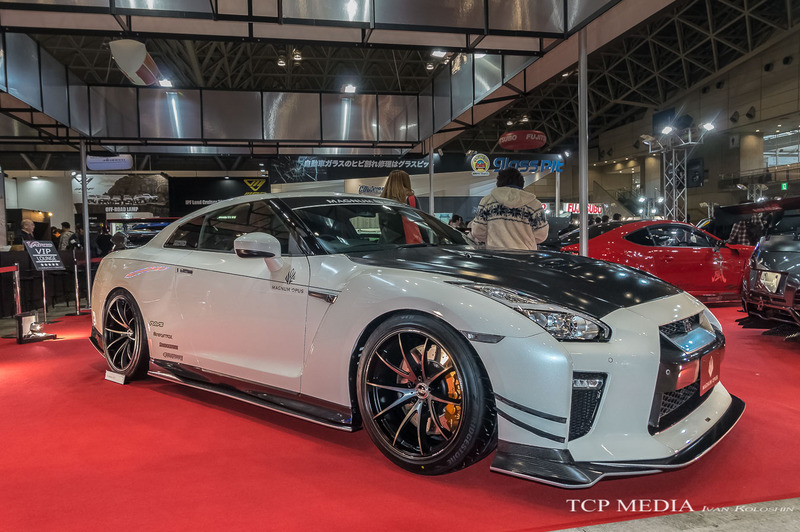 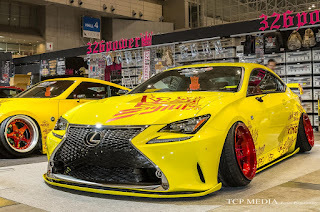 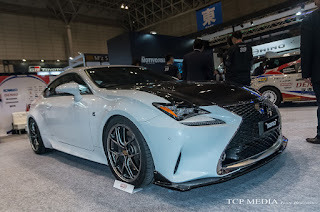 So there we have it, Japanese cars are still the focus of Tokyo Auto Salon when it comes to creating awesome builds and marketing new products. 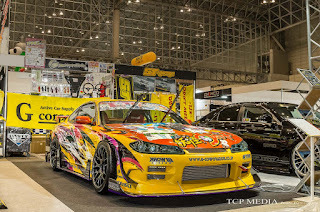 I just hope that Japanese car makers will follow through and provide more interesting platforms for Japanese tuners to work on. 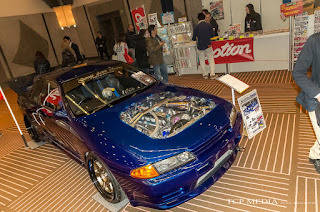 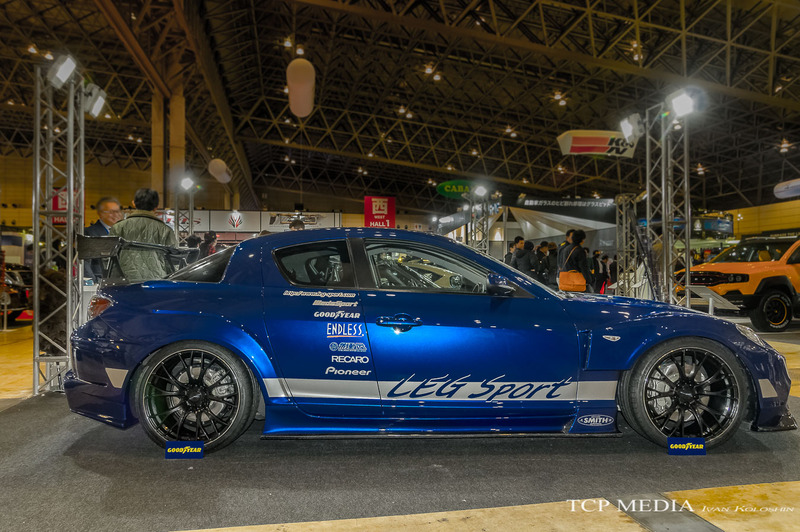 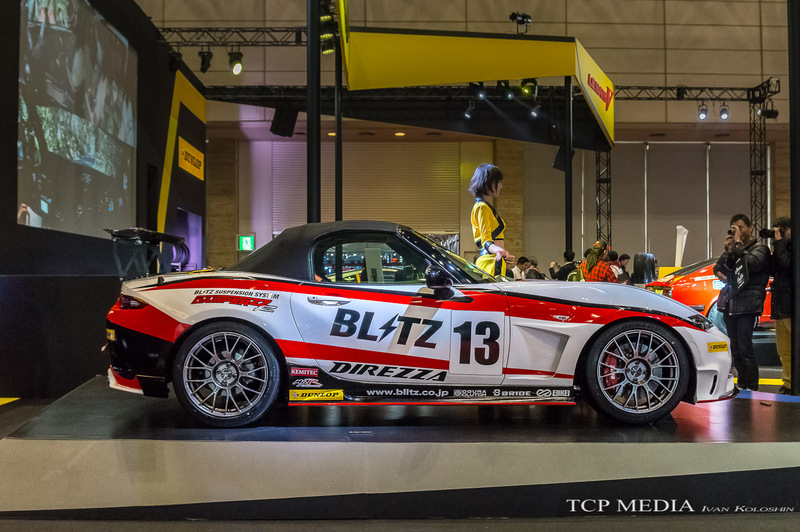 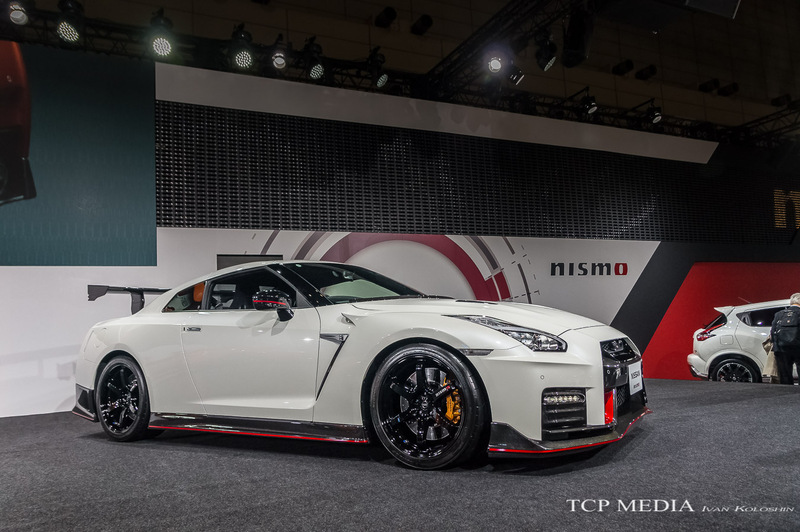 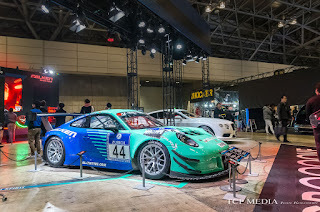 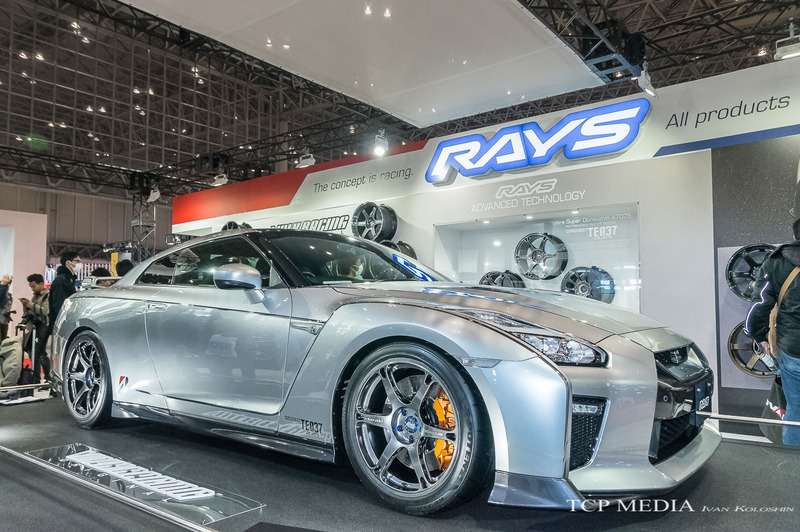 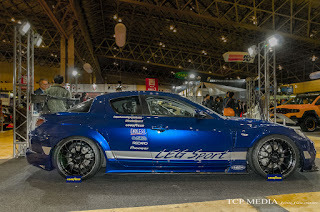 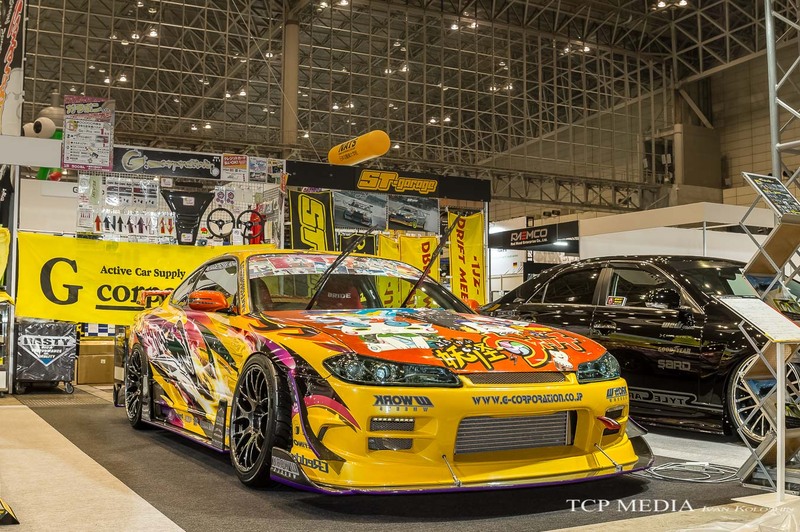 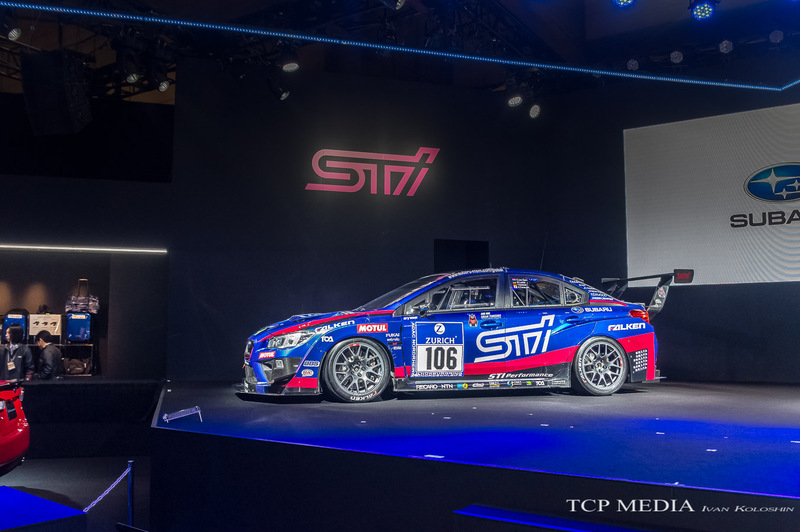 Please stay tuned for more updates from Tokyo Auto Salon where we will cover the imports and the BMW's. 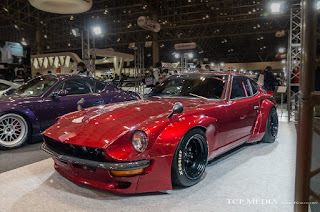 Until then, please make sure please make sure to share and follow my page, and don't forget to check out the rest of the JDM builds in the Photo Gallery below.